UPTOWN ART STROLL PSA _01 from Juan Bago on Vimeo. Today is the day, hurray, hurray…. The month long celebration of the arts that is the Uptown Arts Stroll kicks off tonight at 6 PM at the Shabazz Center (3940 Broadway (between 165th & 166th Streets). 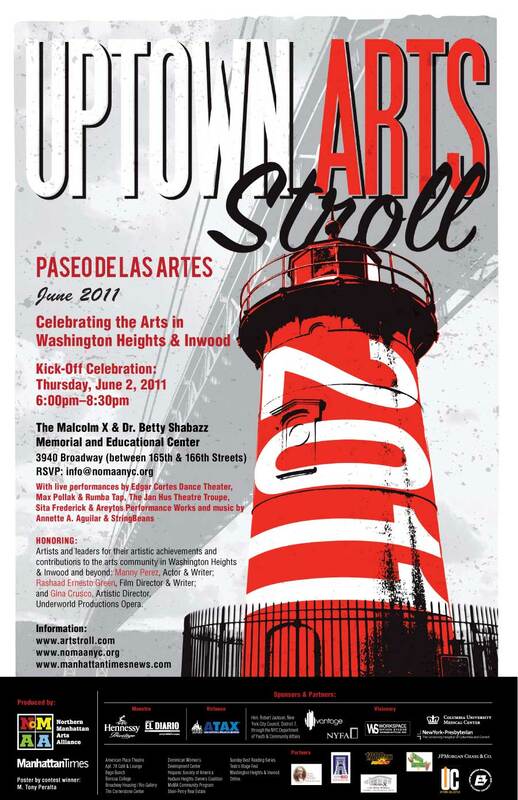 The 2011 Uptown Arts Stroll is bigger, bolder and better than ever. NOMAA alongside the Manhattan Times, the Uptown Collective, the Bago Bunch and Apt 78 among many others will make this the most incredible Uptown Arts Stroll ever. The UC will also be live tweeting from tonight’s event.